Journal of Psychiatry and Behaviour Therapy is an international, peer reviewed, open access, scientific and scholarly journal that publishes manuscripts like research, review, mini reviews, case reports and studies, short communications, letters, editorials, etc., from all the aspects of Psychiatry and Behaviour Therapy. We promise researchers, academicians, healthcare professionals to provide a forum to publish their latest research results online and also they can find recent advances in Psychiatry and Behaviour Therapy in our journal's archive. 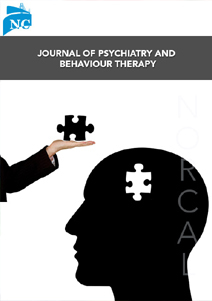 Journal of Psychiatry and Behaviour Therapy mainly focuses on multi-disciplinary field of psychiatry research and its applications in Psychological, and behavioural abnormalities, Socioemotional functioning, psychiatric treatments, cognitive neuroscience, affective empathy, behaviour therapy and management to improve the outcomes of the research and clinical populations allied to psychiatric behaviour. Manuscripts received undergoes attentive peer review process before publication. Our journal strongly supports the developments in the scientific community and enhances access to high quality research work available online in our journal homepage. Our journal mainly aims audience like clinicians, academicians, researchers across the planet to disseminate their high quality research work in the field of Psychiatry and Behaviour Therapy. It acts as a forum for all the authors to publish their latest research results online.